We have had another round of snow here in wonderful Arkansas! I am loving this beautiful winter wonderland around me, especially because it has given me some time to catch up on some Alligator Food Design projects (blog post with details coming soon!). 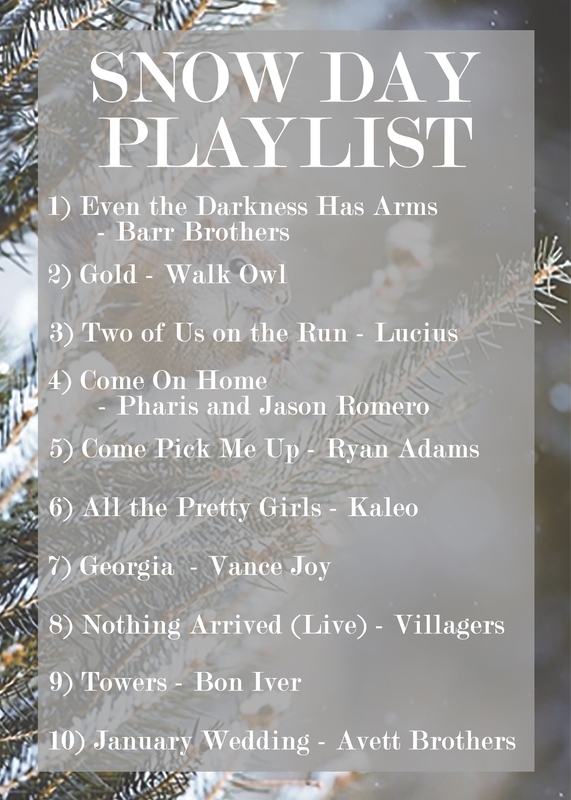 In celebration of another much-needed snow day, I have created a Spotify Playlist of the top 10 songs I have been listening to recently. You can hear them below, or for those of you who don’t have Spotify, feel free to look up any of the ten songs that grab your attention. I absolutely love finding new artists, so comment below and let me know what you’ve been listening to this winter! Oh and make sure to put on your warmest pair of socks, it’s cold out there!